Much of my time is spent working with entrepreneurs, and I have discovered that many, if not most, are uncomfortable with the role and responsibility of leadership. The typical entrepreneur is someone who has a desire to be financially self-determined, who has enough confidence to try something on their own, and who is willing to take some risks. Most of them are comfortable with the idea of being someone else’s boss. But they would prefer to be a boss without being a leader. What is it about being a leader that is so daunting? Part of the problem may be that we’ve taken the concept of leader and attached it to larger-than-life personalities like Jack Welch, making anyone else who aspires to leadership look like a pallid wanna-be. Another reason some people eschew leadership is because it’s so damned responsible. Myriad scientific and social studies demonstrate that the wildly successful aren’t those who make less mistakes – they are the ones who make more mistakes, because it requires much more action and risk-taking to achieve big wins. 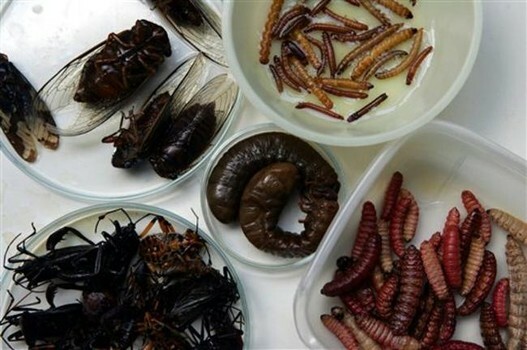 Leaders are by their nature flawed. Truly great leaders air all their flaws in public in pursuit of great accomplishments. The responsibility of driving an organization forward is the responsibility of constantly trying to be educated, informed, forward-thinking, and strategic thinking enough to make more decisions than anyone else has to make – frequently at breakneck speed and always at the risk of being wrong. The armchair leadership critique squads get to sit on the sideline and comment on everything from the leader’s personality to their character to their subject knowledge to their style. They are sometimes correct, rarely kind. 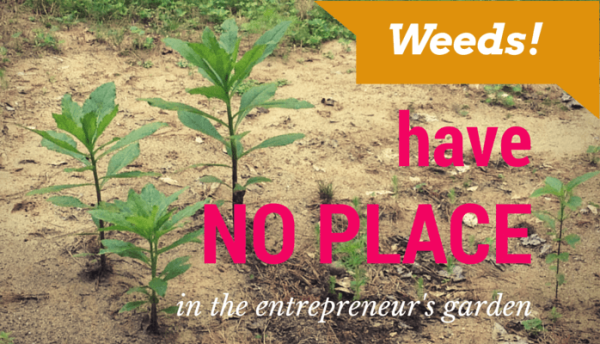 Are you the Garden Variety Entrepreneur? No wonder many entrepreneurs would rather be a garden-variety boss than a leader. It’s safer. You get to keep/make more friends. You get to make the vast majority of your mistakes in private. The problem for entrepreneurs who do not wish to be leaders is that it doesn’t work. People crave leadership, even as they criticize it, even as they resist it. We all want to know where we’re going, how we’re going to get there, what risks we’re going to face, and what our chances are of making it. If nobody takes a leadership role, the result is the social equivalent of sheep milling around in a barnyard. The contradiction of our social populism is our equally great craving for accomplishment, a sense of purpose. Be the Leader The Alpha Entrepreneur! Can a business survive without a leader? 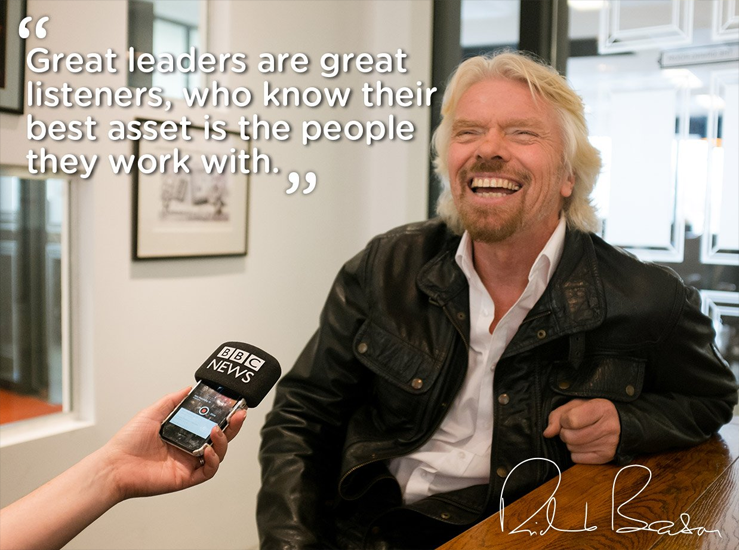 Absolutely – I hear about and encounter businesses without leadership every day. Business owners who are described as wishy-washy by their employees, who avoid making difficult decisions, who move the business so incrementally that the evolution is nearly indiscernible (or nonexistent), who push tough decisions off to people like the human resource manager, the operations manager, and the accounting department. They are frequently well-liked, even admired, people. But do their businesses grow and thrive? No, they do not. When an entrepreneur takes the responsibility for hiring others, they take on a responsibility for other people’s lives. If you’re self-employed and it all falls apart, you’re only damaging yourself and your family. When an employer goes down the drain they take many others with them – employees, vendors, and even customers. Many entrepreneurs believe that by being very conservative – by not making mistakes – they will preserve their business. But case-study after case-study demonstrates that the typical business failure isn’t made of one bad decision (or even several bad decisions), but of failure to evolve, to chart new territory, to end things that have lost their value (or never had value), to seek new customers in new markets or to invent new ways to create value. Failure is typically the result of stasis. The practice of leadership is demanding; demanding of skills, knowledge, ability to grow, and ability to maintain self-confidence. Jim Collins asserts that to be a great leader one must first be a great manager. Leadership isn’t about charisma. It’s about having tremendous knowledge about the work (all the work), how to do the work, and what could improve the work. At the same time a leader is looking inside with tremendous insight, understanding, and contribution, they are also looking outside with foresight, a passion for learning, and an eagerness to evolve. The competent leader is assessing all the variables, recognizing that each option presents both pros and cons, and driving in the direction of the greatest pros while working to offset or eliminate the cons. And great leaders? Jim Collins says that a great leader goes beyond those characteristics to combine a blend of intense personal will with great humility. And there it is. The biggest risk. One does not become a great leader without having first been a not-great leader. Humility is learned on-the-job. The risks of leadership aren’t just technical, strategic, financial. They are personal. Intensely personal. The emerging leader must make peace with a very difficult idea. He (or she) must accept that demands and complaints from the rank and file are part of his growth, because a leader must strive to be more capable, more effective, a better decision-maker than the people they aspire to lead. And he does all this in public, being the flawed human being he is, and holding himself to a higher standard than his critics will ever be held to themselves. More daunting is the fact that this goes on for a long time, because great humility is rarely achieved in one’s 30s or 40s. Great humility is typically pursued over a lifetime, which means someone who aspires to be a great leader is aspiring to decades of humility lessons. Is it fair? Well, as I often ask my children, “what’s fair anyway?” The more appropriate question is “what do you want to achieve?” If what you wish to achieve is a thriving business that grows and evolves and is capable of producing the retirement income or legacy you desire, you will need to either accept the role of leadership or fully entrust that role to someone else who will. 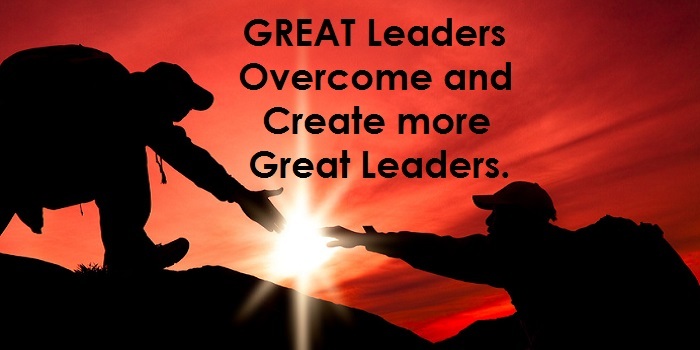 If you choose to learn to be a leader – then a great leader – the financial, intellectual, and psychic rewards can be great, but as with every great reward, you will pay the price every day. You will have to be a striving, mistake-making, earnest, struggling, imperfect human on a public stage. The ultimate risk. And perhaps the greatest reward of all. If you have held the opinion that LinkedIn is one of the best social networks to find new leads and contacts to develop your business, here is yet another reason. From recent research, it seems that LinkedIn can send more traffic to your blog than other networks. Another reason to love LinkedIn, right? It seems from this particular post that there are best times to post on LinkedIn. It is good to avoid the evenings and weekends. I have found that invitations are responded to at all times of day, but post reading may very well follow the workday pattern as the post suggests. One very attractive possibility exists on Pulse. Well I am working on a new way of sharing blog posts (along with RSS Cocktails of blog posts) with members Social Media accounts. Once configured within Markethive, blog posts will seamlessly be shared across their networks, creating far more exposure than ever seen. I am also working on a Newsletter Subscription system. We know that every blog needs to deliver its message to subscribers. That's why I am creating HivesFeed RSS-to-Email (and eventually integrated with the above enhancement), the reliable solution for bloggers with BIG ambitions. So there you have it .. that is my own perspective on what we have to look forward to. Here's to a great a future. 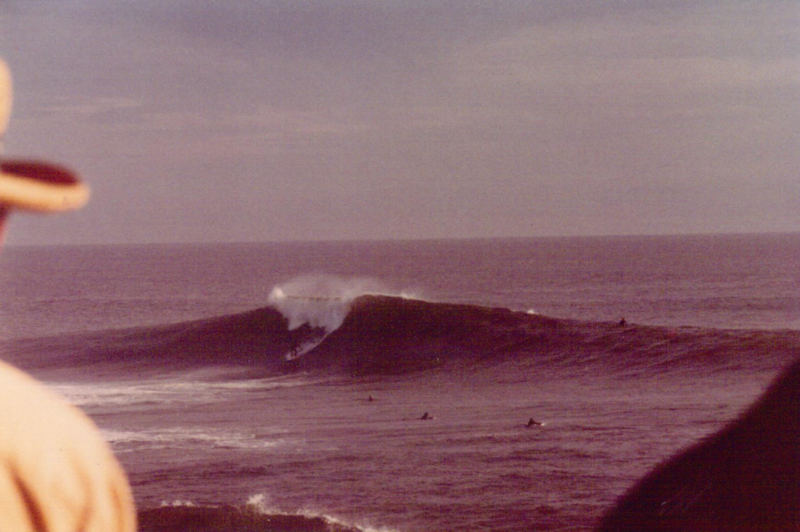 Surfing for the most part was my greatest priority, then I got married. I was born an artist, musician, innovator and entrepreneur. I had my first business before finishing high school and was professionally selling my oil paintings and artwork at the age of 14. Although I attended many colleges, it was always interrupted by innovative new ideas into a business that would begin producing significant profits therefore; college was always a source for research but was never a goal for a degree, if that makes sense. The other major issue that seriously challenged full time employment vs self-employed entrepreneurial innovation was my addiction to surfing. And I went full boar into that pursuit eventually surfing huge waves like at Mavericks and the Wedge. That is a totally other story, but that story played a large part in shaping who and what I am today. 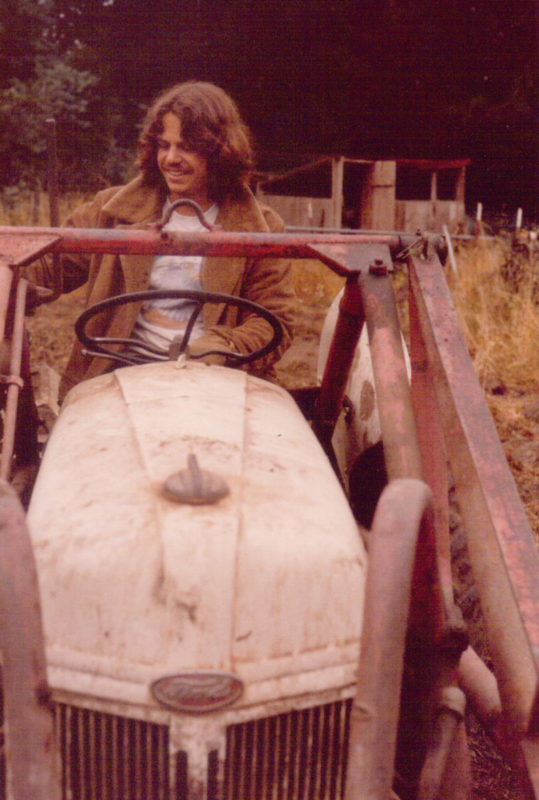 Farming was my first big cash cow back in the 70s in Santa Cruz. From artist, musician, and craft I eventually evolved into building a design agency then turned it into an ad agency in the 80s and set up shop in the San Francisco Bay area. This was a dynamic time as this was the beginning of the Silicon Valley revolution and I was at the core. Many of our clients back then were Accolade, Apple, Adobe, Epyx, Electronic Arts, Fairchild, Oracle, Silicon Graphics, Worlds of Wonder (WOW) to name a few. I was also involved at Stanford University and was becoming interested and aware of the coming Internet. By 1986 my agency was billing over $2 million per month and I was driving the fast lane (brand new BMWs, Brook Brothers Suits, Rolex Watch, etc.) in San Francisco, hanging with celebrities and major mind benders like Steve Wozniak, Ken Uston, Dwight Clark, Russell Brown, and well a long list of what would eventually become the core of the industry these days. 1989 was the year of the great San Francisco earthquake and it seemed to herald trouble ahead as we found ourselves in a series of never ending lawsuits, that eventual caused me to shut down the company, take the best clients and move to Washington state. It was there I actually engaged building networks, BBC systems and figured a hack to access the Internet via a dial up modem from my Mac IIcx into a modem bank owned by a company called Powernet. I was finally on the Internet. I was also one of the first members on AOL with my call name Tom I had tom@aol.com. Since I had connections at Adobe I was able to buy Adobe Illustrator returns and NFRs for $25 per box. I built a “store” on AOL’s classifieds, used Macs QuickKey automation to log into AOL. Navigate; place the ad selling Adobe Illustrator for half the retail price and log out, doing this every hour 24 hours a day. It was my first mega success and I hauled in over $150,000 per month for almost a year when my connection special dried up. Bonanza, I stared seeing the bigger picture from that time on with the reach the Internet offered. I eventually moved back to California, San Diego, got involved with UCSD's Super Computer center and developed a social network called Wavefour, where we tweaked a forum software called the WWWboard, by Matt Wright into a self-replicated members area and front page with a form that wrote to a MS Access database on a server and returned an autoresponder email and a new account. This was the foundation of Wavefour, which was one of the many firsts. First self-replicated website, first self-replicated PDF (a formatted receipt to print out sign and fax or mail in), first read write to a server database, first auto responder email system, first remote broadcasting system I called "The Hammer" and all incorporated into the first Automated Marketing system. This system poured new customers and evolved into a service called Veretekk that ran for over 20 years, was private labeled to hundreds of companies and built a verifiable database that numbered into the hundreds of millions and produced revenues in excess of 5 million. Because Veretekk began on CGI script, HTML and text databases, it's evolution; as OS and advances into PHP. Java, Ajax, SQL occurred, Veretekk got old and even after relaunching a complete new face and core upgrades in 2010 called V2, it was still old and by 2012 we began shutting it down. In 2013 I was blessed with a new vision of a brand new start from ground up Inbound marketing Social Network. I built the blue prints from the vision, complete with layers of tools, broadcasting platforms, the social network functions and the entire look, feel of the interface I raised about $350,000 in cloud capital, hired a programmer and had the core built and ready to populate with the crowd funding founders and trademarked and incorporated it all as Markethive in mid 2015 and opened the doors to our (not ready for prime time) Alpha launch. Since then we have built an engineering department, a marketing department, and customer support department and are scheduled for a full BETA launch in January 2016. We are currently in the process raising another $200,000 to fund a massive ad campaign by January 2016. My whole life has been about the entrepreneurial pursuit. 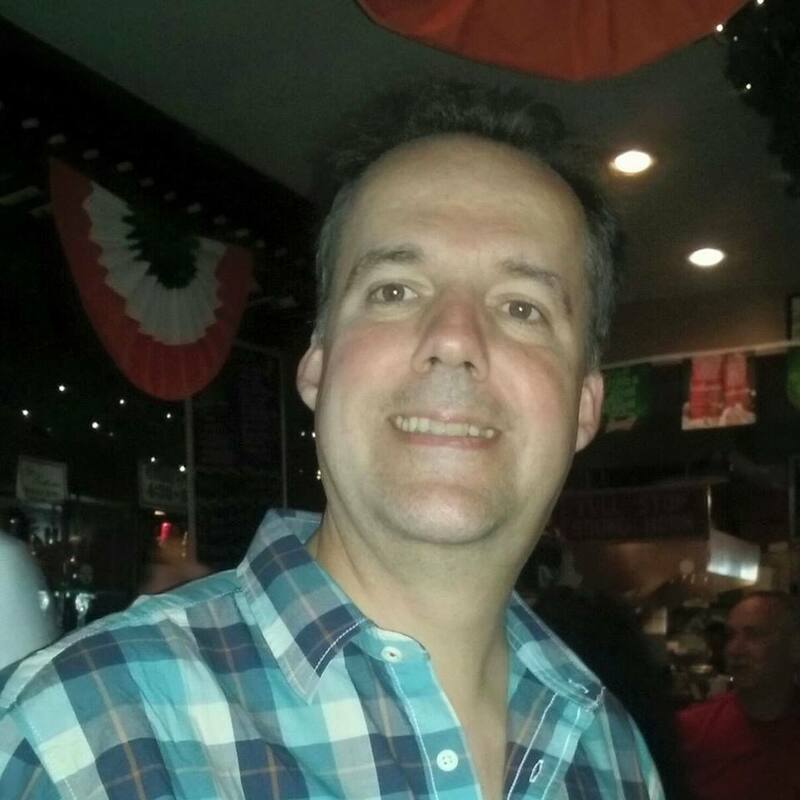 As an entrepreneur, small and medium size business owner, occasionally engaged in some peripheral mlm opportunities, I have managed to earn over 40 million dollars during my lifetime. Now entering my early 60s, Markethive is my most serious venture built from the focus of serving the entrepreneur, empowering, mentoring and engaging this culture like not found in any other social system. With a lifetime as an entrepreneur, a long history running an advertising and marketing firm in the Silicon Valley during the roaring 80s, being one of the very first on the Internet, building first off tech and running one of the first social networks, and developing a knowledge and intimate friendships with literally 1000s of entrepreneurs, I can claim authority in developing and launching a long time needed, integrated, effective and inspiring entrepreneurial social network. I am currently the CEO, Founder, Creator and architect of Markethive. We are at that exciting edge right before all of our work, dreams, aspirations, projections, time and investments is about to be launched. It is both a time of great excitement and daunting at the same time. It is exactly where I love being and I am inviting you to become part of it. As a partner, or investor or member, you will want to be here, from the beginning as we are going to be writing history. 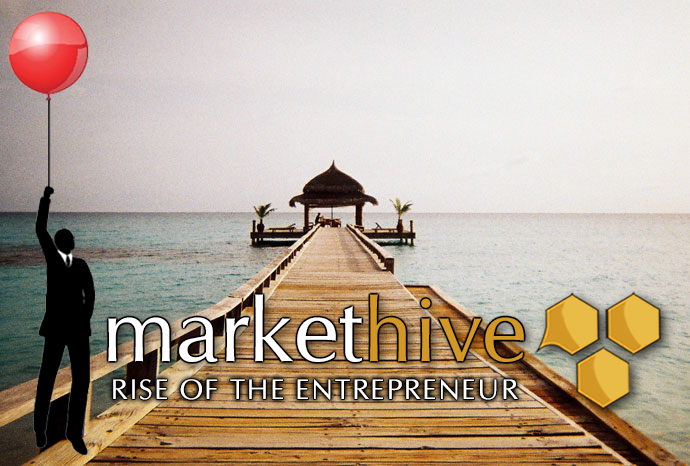 Markethive, the ecosystem for entrepreneurs, welcome home. What are all those connections on LinkedIn for anyway? The number of your LinkedIn connections is a critical factor in your long-term marketing success on this unique social network. If you connect with someone that has 10k 1st level connections on LinkedIn. That person's 10K 1st level connections automatically become your second level connections. their 2nd level, automatically become your 3rd. The larger your network, the larger your reach of potential prospects. Or, to put it another way, large networks command a larger sphere of influence. With large networks it is apparent that you cannot know everyone in your network personally, but the advantage in my opinion outweighs the benefit of a smaller network of known associates. As your network grows it will be more attractive for others to connect to you in order to widen their sphere of influence. For example, it is clear that a certain point, you will have to make less effort to find connections. (It has been reported that this usually happens on LinkedIn when 3,000 or more 1st level connections have been made). 3,000 connections may seem like a big number if you rely only on friends and associates. If you could add 30 connections per day, however, then it would take you only about three months to accomplish. Not bad, right? The larger your network, the more invitations will come to you, instead of having to reach out for every one of your connections. It is healthy for the growth of your network to have a mix of incoming and outgoing connection requests. If you only send out connection requests and never receive any incoming requests, it may look unbalanced to LinkedIn. You might want to check your profile to see if there is anything that would prevent someone from connecting to you, if you notice this happening. Every time you post on Pulse inside of LinkedIn, your post automatically goes out to all of your first level connections. If you have 10k connections, you have the chance for your content to be seen by over 10,000 people! You will likely get many more views, likes, and comments with a larger network receiving your posts. LinkedIn is much more likely to promote your content on Pulse, with a greater number of views. If LinkedIn does promote your post, it could potentially be seen by tens of thousands of people. It is not an easy task to get a blog post to command that kind of attention on a typical hosted WordPress blog. It takes quite a bit of time and effort. One caution here. You will inevitably get more spammy type messages in your inbox. How long does it take to click delete? If anyone becomes annoying and sends you repeated messages, you always have the option to remove them from your network. In my opinion the rewards far outweigh the risks, so I am busy building a large network on LinkedIn. See the following links to find out more about the best ways to do this. Just a bit of advice to readers here. In the old days, it was a clever trick to set up an auto-responder trying to push an "opportunity" on your email address account. This is not liked by most ESP's (Email Service Providers). Times have changed. Now it is just seen as abuse and will not do any good for your on-line reputation. This will get your email address blacklisted at Amazon who we at Markethive use as our Email Provider and because we have to follow by strict rules and procedures, we then put your email address in our own blacklist, so no further correspondence is sent to it. So, be sensible .. remove those pesky blighters from your account settings and add a personal touch when contacting prospective clients or customers. To Outsource or to Automate, that is the Question! Let me give some personal background in answer to this question, and why I consider it such an important one. Many years ago, I ran across this quote by Gottfried Wilhelm Leibniz. Leibniz, (July 1, 1646 – November 14, 1716) was a particularly brilliant mind of his day. His contributions range from Physics to Philosophy, and he is attributed with the development of calculus in parallel to, but independently of, Isaac Newton. 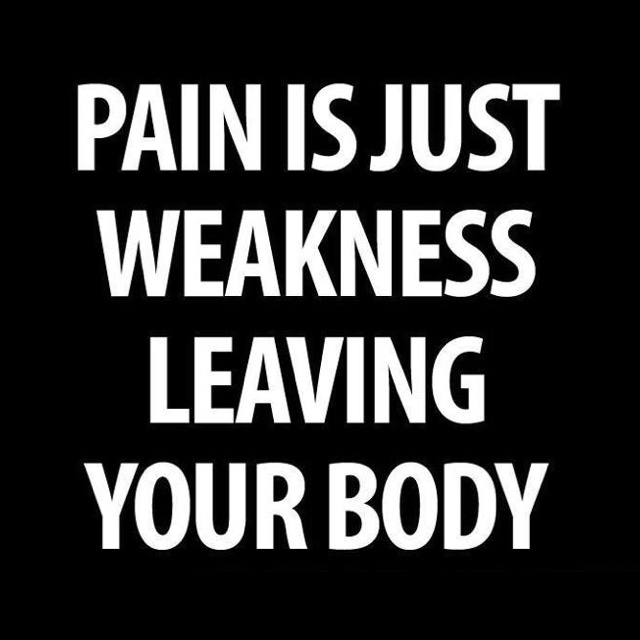 This quote as has been sort of a motto of mine for a very long time. It has been one of the themes of my career repeated several times over. When I was growing up, my uncle worked as a manual machinist for a large aerospace company in NJ. My dad was an engineer / draftsman for the same company. Between them they worked nearly a century for the same company. Neither ever used a computer on the job. Today, my uncle’s job would be done by a CNC machinist. Instead of cranking manual dials, my uncle would be loading computerized code into computerized metal cutting machines that would cut parts automatically. Automation doesn’t mean it takes any less skill to run the machine. Many of the same skills are required to run an automated machine. It just is a different type of skill. The accuracy and repeatability of these machines is simply phenomenal. Tolerances can be held on standard CNC milling and turning machines to within +/- 0.0002 of an inch. That is a mere two ten thousandths of an inch. That is nothing less than extraordinary in the world of manufacturing! It is an order of magnitude of 5-10 times what can be achieved with manual methods alone. In my dad’s day, just before he retired, the company had purchased their first computers in the engineering department where he worked. They were big clunky things that took up an entire room of office space. By the way, both lived extremely long lives; my uncle passed away at the ripe old age of 99, and my dad at 98! Why do I mention this? I became involved with computerized machinery and computerized programming after having seen my family, practically speaking, slave for a nearly a century in the manufacturing industry without the benefit of computers. I was and still am proud of the accomplishments of both my uncle and my dad, but I also knew that I could be much more productive in my life by taking advantage of the revolutionary advances of computerized manufacturing technology that were not available to either of them. I have met so many great people in the manufacturing industry over the years, in companies large and small, but especially in the smaller tool and die and plastic injection mold-making shops. There is something about machining that keeps people honest. Either your part, tool or mold, and whatever you are making works properly, and is made to the specifications of the blueprint, or it is not. There is no grey area or subjective opinion; only measurable fact. The part is within tolerance, or it is out of tolerance. Thumbs up or thumbs down. There is no compromising middle ground. Measurements are precise, accurate, and objective, with mutually agreed upon standards that are universal. Even though my first glimpse of a computerized (CNC) machine tool was intimidating, I determined that even if it took me years to understand the technology, I vowed that I would learn to master it, and I eventually did on both accounts. If a machine tool has a computerized control on it, chances are I have programmed that type of machine before, at some point in my career. I also learned to run a wide variety of CNC machine tools. The above quote from Leibniz stuck with me all these years, and when reasonably fast PCs became available in the 80s, I realized that the dream of Leibniz long ago had finally become a reality. Every software program used and the possibilities of communication using the Internet allows us a greater freedom from repetitive manual labor. By the way, I am not opposed in principle to manual labor. There is nothing whatsoever that is wrong with it. In my life, I have worked as a construction laborer, a mover, a mason, a carpenter and a house painter. Although I enjoyed manual labor, I knew I did not want to spend my entire life doing it. For example, when I worked as a house painter, years ago in San Francisco, we used electric airless paint sprayers that allowed us to paint buildings at the rate of 60 gallons of paint per day on a two-man team. If you are using a paint roller on a floor, you might be able to paint that much in a day, but there is no way to paint walls at that rate, or to paint by hand, using a brush, with that kind of proficiency! If the lives of everyone can be improved using computers, I am always on board with it. Although there is a certain nostalgia surrounding the manual art and craft, and some things should be made only by hand, ninety-five times out of one-hundred, I personally prefer the computerized solution. I have worked with and trained hundreds of machinists and programmers to use CAD/CAM technology to significantly improve their productivity in manufacturing. 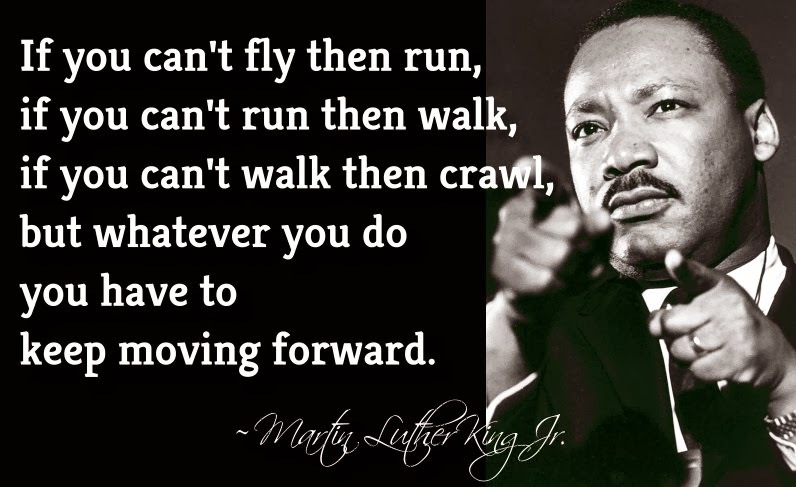 I do the same today with small businesses and entrepreneurs. The niche may have changed, but my goals remain the same. I help companies to implement automated marketing solutions that improve their business, and the lives of both owners and employees alike. Several weeks ago, I faced a dilemma. I needed to locate prospects and send out a large number of emails on a daily basis. I was considering hiring someone to help me send out more emails than I knew I could send out on my own each day. I was on the verge of outsourcing this work. In principle, I do not like asking anyone else to do something that I would not want to do myself. If it is something that I can’t do, then that doesn’t leave me with a choice. Even if someone else does not think the work is tiresome, it still didn’t feel right to me; the thought of outsourcing this project left a bad taste in my mouth. I know that there are companies that hire people abroad to send up to 100 emails a day. These people search for email addresses of potential prospects, and are happy to do this all day, for a decent wage based upon what is considered to be a fair wage in their particular country. As for myself, I know very well I would become crazy doing strictly that and nothing else all day. Again, I was reminded of the Leibniz quotation, and despite my need, I squirmed at the idea of hiring someone to do this kind of job that I am unwilling to do myself. So what is my conclusion to all of this soul searching and pondering? My advice is to keep looking for an automated solution to any problem you are having. Only as a last resort, if an automation solution is not possible, should you consider the alternative of outsourcing repetitive, tedious work. I actually found an automated solution to my problem that is far better than hiring two full-time outsourcers, so I came out way ahead. Also, if you have the means, consider hiring a programmer to build a custom solution to your problem. Then you not only have a solution that you can use, you have a product that you can sell to others that solves your particular problem. This type of project has a very high probability of success. You are the very best possible beta tester for your product. You know the problem inside and out. You will know who can benefit from this solution, so you will know your target market very well. Your customers will greatly benefit from the automated solution you have found. Of course, you will also benefit by selling a solution that is well-tested, accomplishes the objective, and one that your customers not only need, but also appreciate.